Our first fiddle competition will be on Saturday, June 14th at the Garfield Park Arts Center. More information will be available soon! The competition is sponsored by Indy Irish Fest, 9 Irish Brothers Traditional Irish Pub, and the Ancient Order of Hibernians. Register for our spring classes online! Classes begin March 8th. 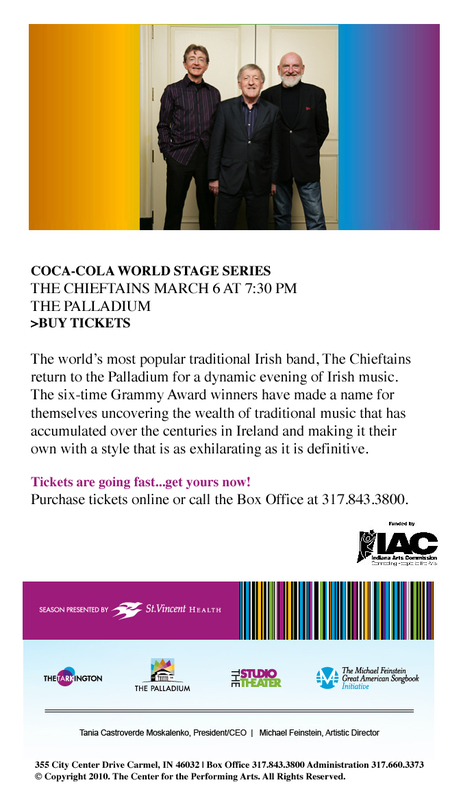 The Chieftains come to Indy! We're hosting our first céilí dancing workshop on Saturday, January 25th, 2014 at the Garfield Park Arts Center! Please visit our Céilí Dance page for more information! Only 32 spots available, so register now! Echoes of Erin Comes to Indy! 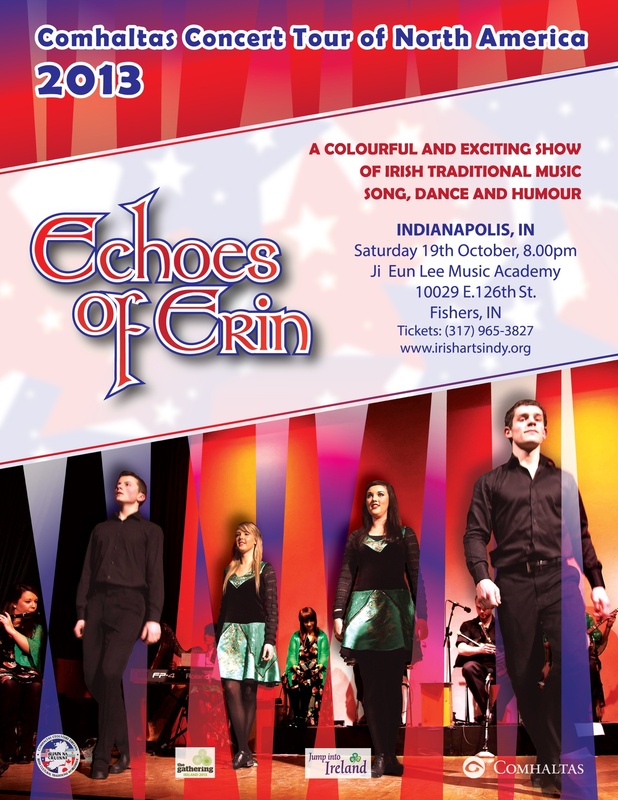 The Irish Arts Academy of Indianapolis is bringing the Comhaltas Concert Tour, Echoes of Erin, to Indy! The Echoes of Erin tours provide a fantastic showcase for all that is best in Irish traditional music, song, and dance. These top class performers, in all fields, display the highest standards and regional styles that have become synonymous with these events down through the years. They have already thrilled audiences throughout the length and breadth of Ireland during their tour earlier this year. The performance will be on October 19th at the Ji-Eun Lee Music Academy at 8:00 pm. Adults: $20. Children 15 and under: $12. Tickets can be purchased online at our webstore! Irish Band comes to Indy! The fantastic Irish band, Comas, is coming to Indy this weekend! They will be performing at the Northminster Presbyterian Church at 4:00 this Sunday, April 21. Tickets are FREE! Our summer session will be held at the Garfield Park Arts Center and begin on Monday, June 10th, culminating with a final performance on Saturday, June 15th. The class schedule and fee information can be found on our registration page. We will be hosting our first summer session this June. Stay tuned for more details!